Casa Dome voted "Best resort home"
5,965 square feet, ocean view from second floor "let's get this party started"
Casa Dome with beautiful Spanish colonial architecture offers 5,900 square feet of gorgeous interior living space. 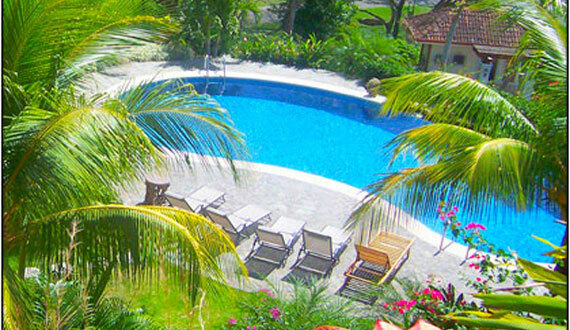 Large covered terraces from which to enjoy the fairway, Herradura Bay and Pacific ocean views. Amenities include an enormous swimming pool, large game room with Championship pool-table, large bar area, barbeque area and lush landscaping. Bedroom 1: King size bed, Bedroom 2: 1 King size bed, Bedroom 3: 2 Queen size beds, Bedroom 4: 2 Full size beds, Bedroom 5: 2 Full size beds, Bedroom 6: 2 Twin size beds. Other optional services: golf, sport fishing reservations, golf cart rentals, automobile rentals, in-house massage and spa services, in-house chef and catering, comprehensive tour services, full time driver and guide, restaurant reservations and recommendations, 24 hour medical assistance, dry cleaning, and babysitting. 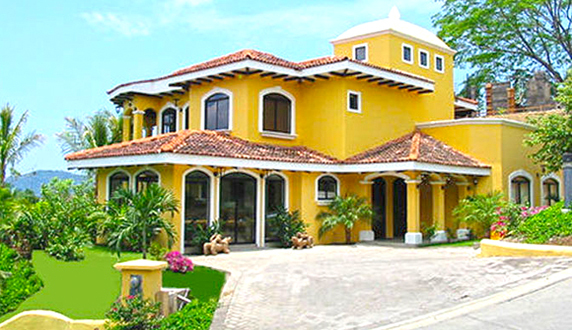 Casa Dome, Los Suenos Resort voted "Best home"
Los Suenos Resort in Costa Rica, home of the luxury home Casa Dome and the finest vacation and sports fishing location in Central America. For those who want the best, this luxurious home features 6 bedrooms, 5 ½ baths, and every creature comfort modern technology can provide. 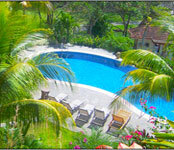 The resort also features a 4-star Marriott Golf and Marine Resort. "Casa Dome perfect for any family"
My family and I (15 people) just returned from vacation in Costa Rica, and I miss it already. 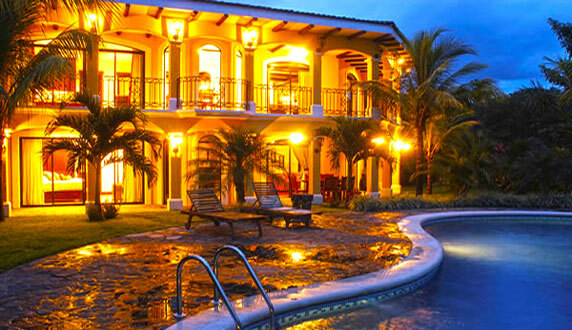 Casa Dome is beautiful and a delightfully perfect Costa Rica vacation home for myextended large family. The waterfront view from the upstairs balcony was incredible. We had originally rented a way too small home for our family. So we upgraded to the Casa Dome, and it was absolutely perfect and gorgeous! We were very happy we did that! A host that does everything possible or 110% to make you feel at home. Casa Dome is a great place with awesome features. Highly recommended!! 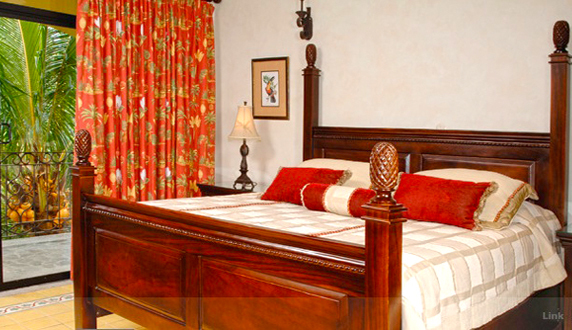 The location in the resort was perfect, very friendly staff and a incredibly manicured property. 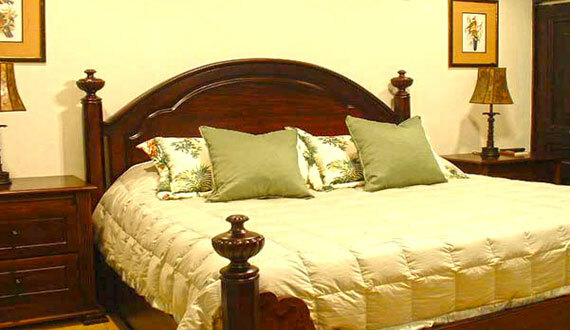 This is a home for those looking for the upscale experience. "I am getting married soon and I want a bachelor party to be more about spending time and bonding with my friends in a way that I normally can't because we're all so very busy,"
Private Massages: Don't go to the Spa let the spa come to you and indulge yourself with and in house massage and spa treatment. Special Requests: Chef packages, Wine, Cigars, Flowers & Groceries. Send us a list and we will stock your fridge. Los Sueños also has a kid’s club that offers numerous activities such as hiking on the beach, handcrafts, educational eco tours, miniature golf, pizza making, decorating cookies, water balloon wars, piñata parties and others, which last year earned the hotel a spot among the World’s Best Family Hotels list.